Help me work out what is the best Greenhouse for me? 10ft (3.2m) 24ft (7.6m) or any other length you'd like! Size How much do you intend to grow? 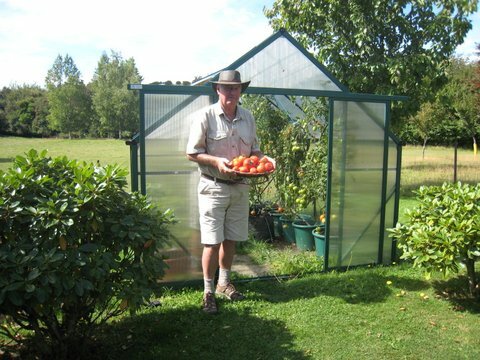 How much space do you have available for your greenhouse? Is it just for seedlings or for year-round growing? From my experience people often wish they had a bigger greenhouse, somehow they always fill up! Shape Long, short, tall? What shape site do you have available? Will you need a permit from the council? Most councils allow a 10m2 structure on a site before a permit is required but it’s always a good idea to check with them first if this is a concern. Quality & Construction What is it made from? How long will it last? Generally people have a good idea on what they are after but do your research. Common sense prevails here. 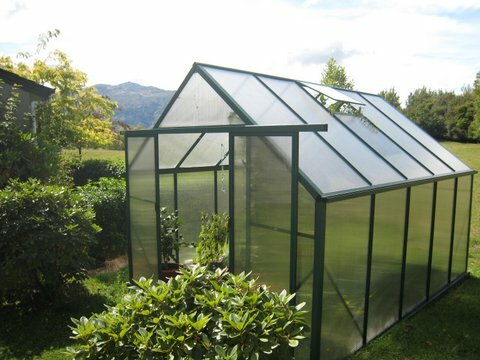 There are plenty of cheap imported greenhouses available but often these are not designed for New Zealand's harsh conditions. You generally get what you pay for so if you want a greenhouse to last it is usually worth spending a little bit more and getting a good one. Budget How much are you prepared to pay for a greenhouse? Site Conditions Do you need a greenhouse which is frost resistant, snow proof, strong enough to handle the wind? If you live in an exposed area you really need to consider how you are going to shelter the greenhouse and fix it to the ground. Personal Circumstances Can you take it if you move house? Is it safe around young children? Can you move this around the site to grow directly into fresh soil? All factors which are worth considering depending on your own circumstances.